Over the 2018/19 summer period, Farm Table is presenting a series to celebrate the innovative ingenuity of farm inventions, big and small, and the farmers behind them. Innovative solutions to problems are being developed and designed by Australian producers, and we are excited and proud to share these stories with you all. 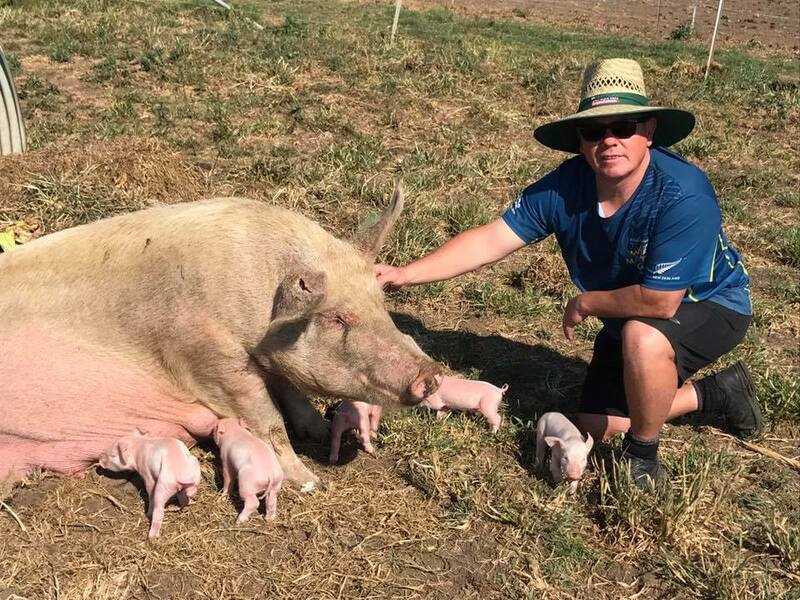 This week we had the pleasure of chatting to Alan Smith of Jerrara Creek Farm, a free range pork and beef producer as well as the creator of an on-farm fodder system. 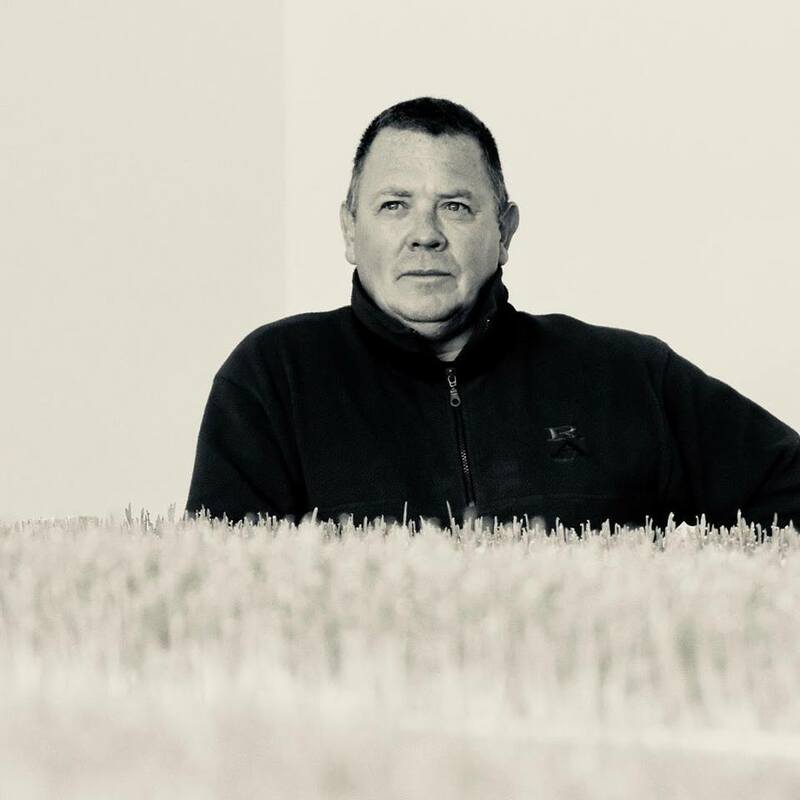 We really enjoyed getting to know Alan and his business and we hope you enjoy the glimpse into his life and the great work he is doing to feed-proof his farming business. Alan, please tell us a bit about you and where you are based? My name is Alan Smith, I’m a tree changer. My wife and I moved our family from Sydney down to the wonderful Jamberoo Valley some 8 years ago with the aim of being self sufficient and giving our kids a much better life. “Grow what we eat and sell the excess” was the aim. We’ve learnt that’s very easy to say but rather difficult to achieve. 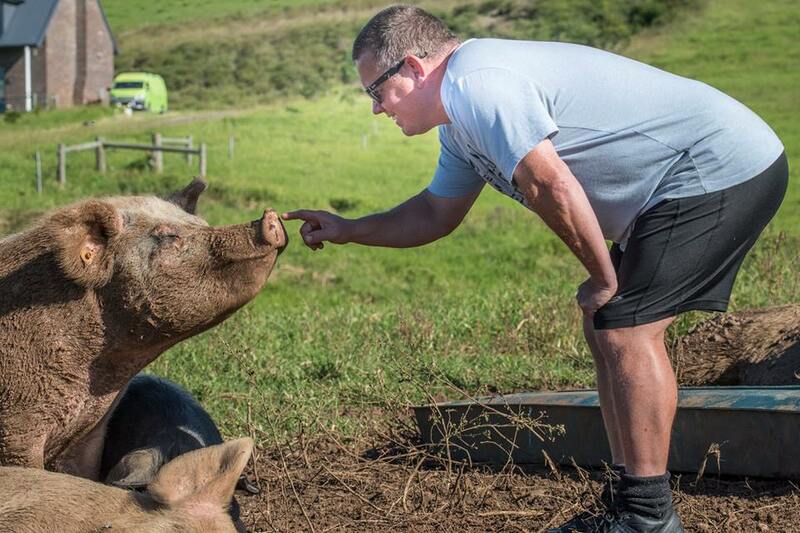 We currently have a small free range Pork (6 Paired Large White Sows and Oreo our Wessex Saddleback Bore) and Beef operation. 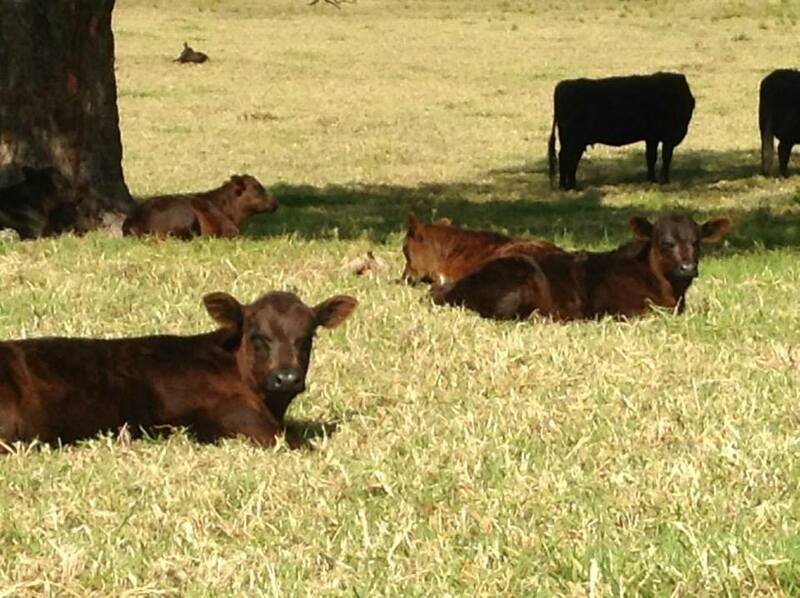 We started with 10 Black Angus Cows and were now up to nearly 50. We keep all of our calves with their mothers until they leave the farm. Alan at Jerrara Creek Jerrara Creek Farm with Mavis a Large White Sow. What is the nature of your on-farm innovation? 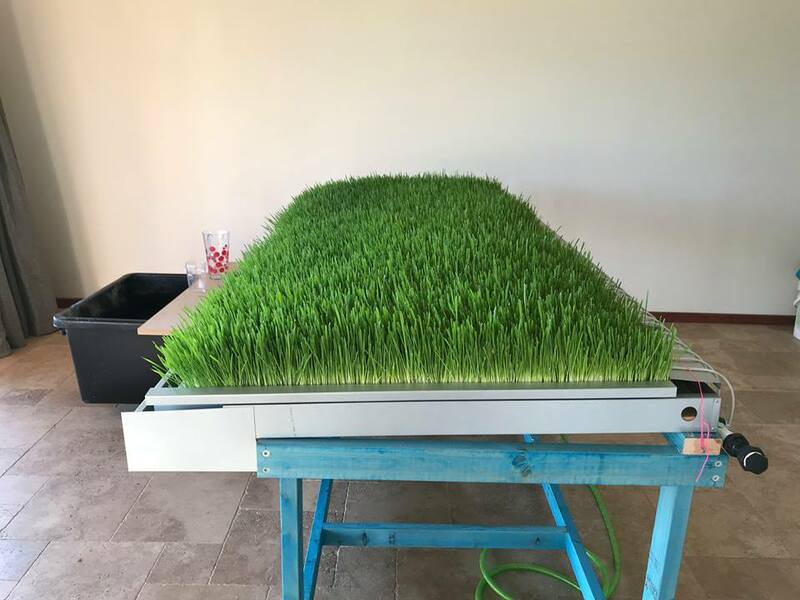 We built our own fodder system using recycled water minimal power. We resolved issues like mould and also addressed things such as the cost of the commercially available systems. 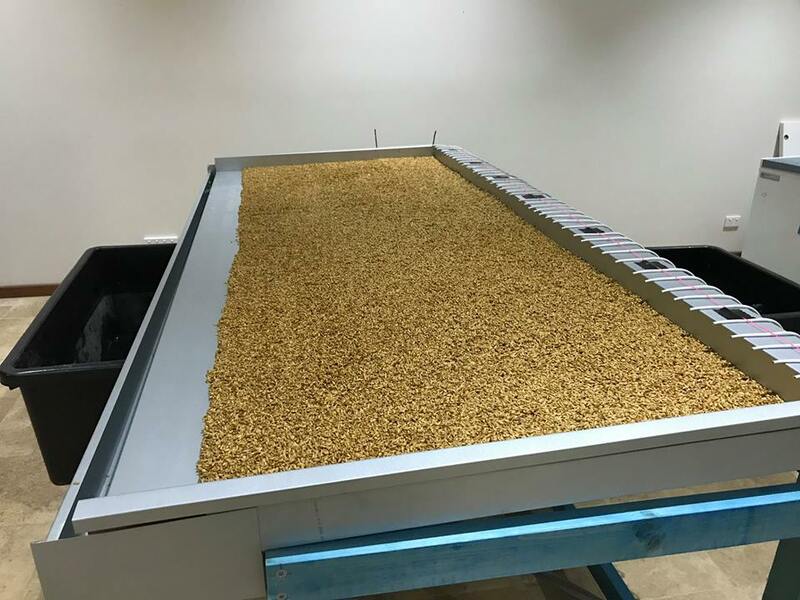 The initial test system I built produced approximately 30kg of feed from 5kgs of seed in 7 days. Once up to temperature, at 3 Watts, the system electrical use was similar to the vampire load you get from a television on standby. We calculated the system retained less than half a litre of water each time the watering system ran. From 1.5 litres per hour in, 1 litre came out as waste. In bigger systems this water should be recycled, but that’s for another day. Watch a video on how it works here. Why did you develop The Shepherd? What was the problem you were hoping to solve? With the grass simply not growing and faced with running out of feed, I consulted with my farming neighbours about what to do and if irrigation could be an option for me. The collective view was to de-stock and not to irrigate due to costs involved. De-stocking for me meant letting a local dairy farmer know that unfortunately we had to bring an end our verbal agistment agreement. Since I purchased the property 8 years ago, he had agisted at least half of it, as we had been growing our herd slowly through self replacement. As of today, I only have 40 Cows on a property which is normally capable of carrying more than double that. I’ve always told my children that your word is the only thing which can’t be taken away, if you give it, you do it regardless. For me it was all centred around integrity and values… So, I asked myself, surely there was another way to move forward rather than to end this agistment agreement. Revisiting my challenge as I had always done in my previous corporate life, I began by asking myself what is it I was trying to achieve and is there a solution in another industry? I need to grow feed, but I needed to take the external environmental risks out of the equation and create my own feed source. It then dawned on me… The answer was starting at me from my bookshelf … Aquaponics! I have had a keen interest in Aquaponics for years, reading everything I could on the subject, and attending NSW DPI’s Fisheries course up at Port Stephens (there’s a new course in May 2019). I’d also built a small test system when we bought the farm and it was next on my list of things to do having built the farm house. Online I went, as surely someone had done this already. Sure enough there it was… But there was an issue, the cost — $150k for a decent sized system. I quickly realised that these fodder sheds were doing things in a very roundabout way. They all seem to create a temperature controlled environment for the plants, via heating the entire room, rather than just the roots. Not only do they cost a fortune to set up, they cost a fortune to run. According to the National Farmers Federation with 70% of farms not employing anyone 60% and turning over less that $200k, it’s pretty easy to see why we don’t all have a fodder system built in our sheds. I made an offer to show every farmer who wanted to know how to do it for themselves. To do this, I requested the NSW State Government to grant funds to build a shed and some test and other equipment to prove it worked on an appropriate scale. Whilst I’ve been showing farmers what to do, the state government hasn’t provided any funding to this date. 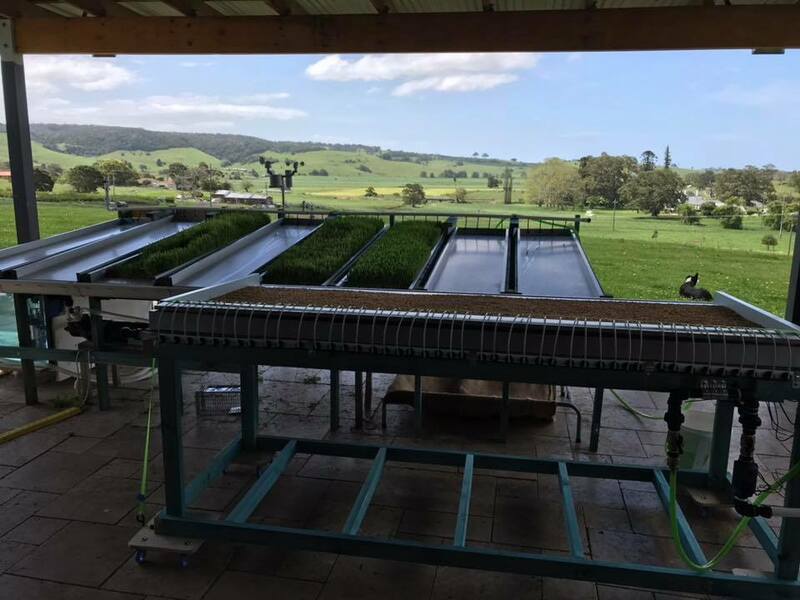 🌿 Jamberoo farmer Alan Smith's hydroponic fodder system is taking off! He's had calls from as far away as the Darling Downs and as close as Menangle in south-west Sydney. What have been the major successes? Not only has the system worked for me, but other farmers who have been for a visit have built their own systems which also work. It’s really satisfying to see that happening. Fortunately for us, it rained here, so whilst I began trials with the cows, it became less of an urgent priority for us. However I have continue to develop the system and feed the sprouted barley to our pigs, who can’t get enough of it. We were also able to maintain our agistment agreement which was a great result for everyone. Recycling of the water is expensive on a small scale. In the new year I hope to build a larger system next to my pig pens, where I can also show farmers how a larger scale system works. Do you have any advice for others looking to solve a problem they face on farm? The wheel has already been invented and it works very well. Look across to other industries to see if someone has already inadvertently solved your problem for you. For example we used underfloor heating technology to provide a controlled heating for the root zone. Give an idea a go, what’s the worst that can happen? Try it on a small scale first. Thanks so much Alan! We can’t wait to follow your story as we know many will be interested in the work you are doing. Well done and all the best for 2019! Catch up on other case studies in the series below.